An elite performance facility for men, women and youth. It’s never too late or too early to get fit and stay fit! Call, email, or register online to get started today! Start your journey to a healthy way of life! Challenges run periodically throughout the year. Our youth program will not only transform health and fitness levels but will also improve sports performance on the court or field. We will build strength, create speed or agility, help prevent injury and most importantly, build confidence. Designed to enhance sports performance in middle and high school athletes by introducing strength training to their training program. Emphasizing on safety and technique, athletes will gain confidence in the weight room while improving strength, endurance, power, speed and agility. A fast paced, high intensity, cardio based fitness class designed to get you sweating and release some tension. Suitable for all skill and fitness levels. A class that will improve aerobic and anaerobic endurance while blending high intensity, interval and strength cardio training on the bike. Our 60 minute classes are designed to get you moving and keep you moving. These programs will transform health & fitness, and improve sports performance. Need a personalized workout? 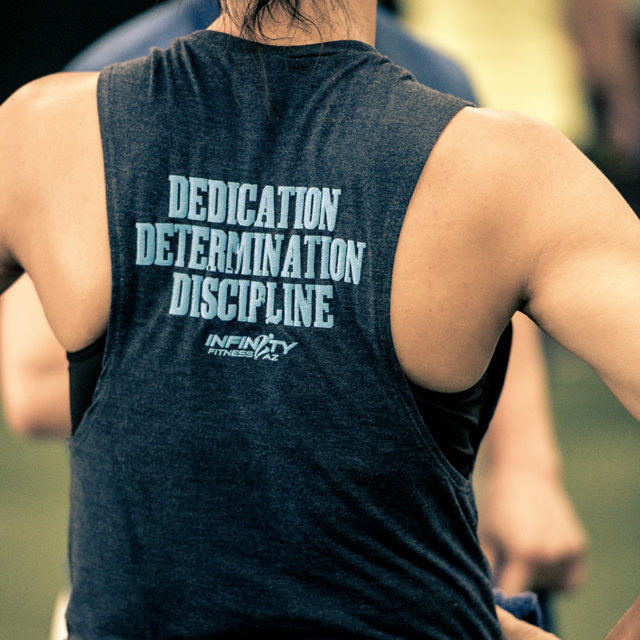 Infinity Fitness offers one-on-one training with each of our coaches, and a plateau-busting Fitness Challenge. Add a little variety to your workout regimen by signing up for boxing or cycling classes. 7498 E Monte Cristo Ave.